First Day Set up in the Backyard! If you are looking at getting a Toddler Trampoline, check out this guide. 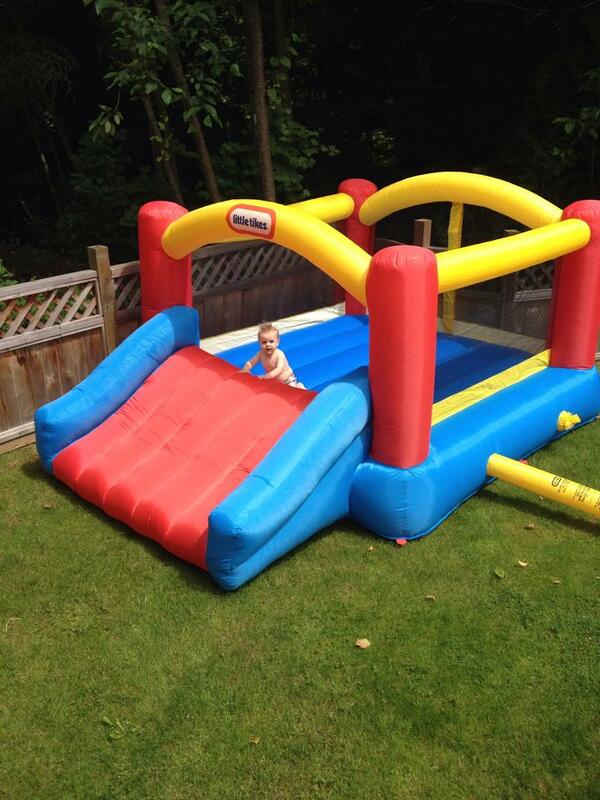 No, it is not really a castle, it is a Little Tykes Jump n Slide Bouncer and we have had this thing for over three years! It just keeps on going! Before we got into trampolines, this was a great start, since my youngest was one and we did not want something on the grass all the time! We originally bought it for my then 3 year old’s Birthday party. When I looked into the costs of renting one, I figured I might as well buy one for myself. 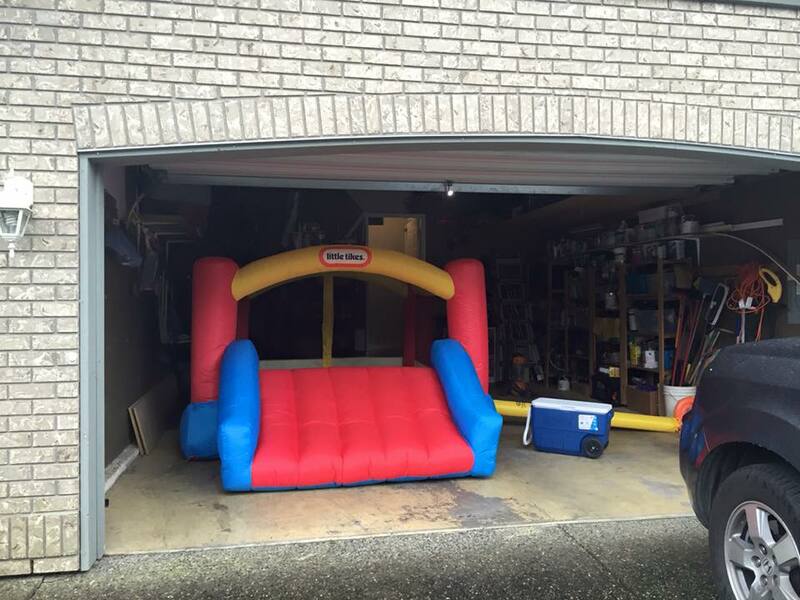 We have used this for birthdays, countless days in the backyard, in the garage if it is pouring rain, and even set it up in the basement a few times! 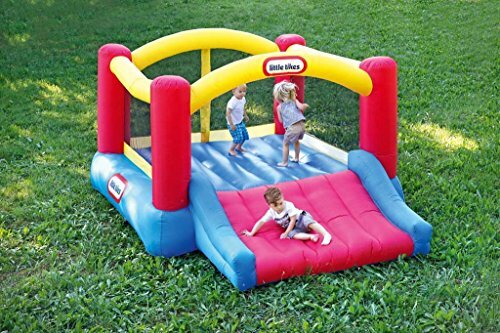 It has given my kids countless hours of fun and highly recommend it for anyone looking for a bounce house. The Size: it is 10′ x 7′ x 5′ and the rolled up bag is like a big tent bag. Needs about a 3′ x 2′ storage space. It can be squished down though depending how tight you roll it. I love that the bag does not require an essential roll (like rolling up a tent), a quick roll and it will fit! My kids also love turning it off, letting it deflate, laying on top and turning it back on. It makes them feel as if they are floating! Do not be alarmed when you feel air coming out the seams. It does not seal the air in. The fan keeps blowing the entire time and air keeps being pumped in. I do not store my blower in the bag. While I can make it fit, it just gets too heavy. We love Little Tykes so much I highly recommend their inflatable water slide. Check out my post on the 10 Best Inflatable Water Slides here.